The next version of Windows Server also adds new security features and enhances support for containers and Linux. If you want to check out the release for yourself, sign up for the Insiders program. In a Monday announcement, Microsoft noted that general availability of Windows Server 19 will mark the next release in its Long-Term Servicing Channel (LTSC), which essentially rolls up semi-annual Windows Server releases and related tweaks for enterprises that do not want to continuously update their server software. A semi-annual channel server update will also go out at about the same time as the Windows Server 19/LTSC release, but Microsoft urges data centers that have workloads involving SQL Server, SharePoint, and Windows-Server-defined workloads to adopt the LTSC release. This is the first major release of Windows Server since 2016, and Microsoft is doubling down on features for hybrid cloud deployments. Cloud computing promises operational efficiency and cost optimization, but most big companies are operating hybrid computing environments for a variety of reasons, including compliance issues. At its Ignite conference last September, Microsoft introduced Project Honolulu, a browser-based management application. 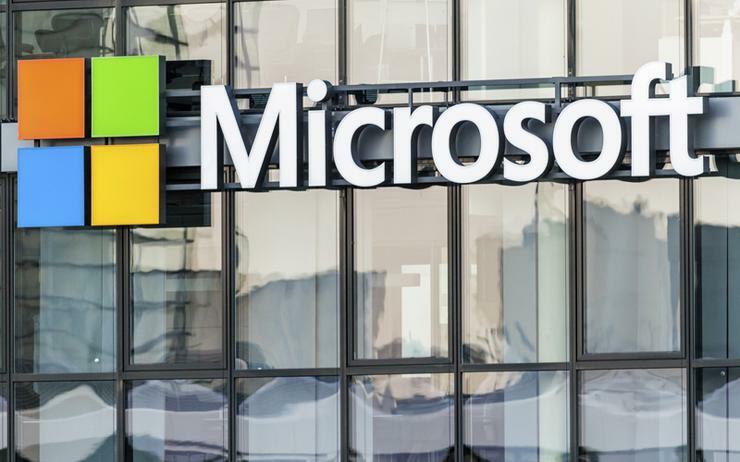 Now, the company says that Windows Server 2019 together with Project Honolulu will allow administrators to integrate existing applications and infrastructure with services such as Azure Backup and Azure File Sync. In a nod to the popularity of hyperconverged infrastructure, which merges compute and storage systems, Microsoft noted that with Windows Server 16, it worked with hardware providers on validated HCI designs for customers. It says the next release of the server software it will beef up performance, reliability and the ability to scale for such designs. Meanwhile, to simplify management of hyperconverged infrastructure, Microsoft is also enabling Project Honolulu to act together with Windows Server 19 as a control dashboard for HCI deployments. 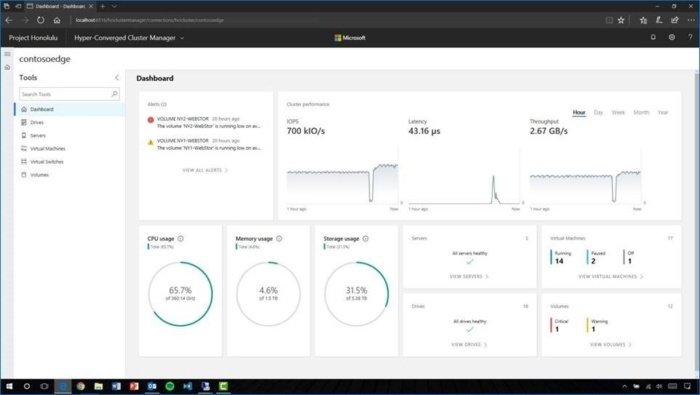 Project Honolulu’s Hyper-converged infrastructure (HCI) management dashboard in Windows Server 2019 Preview. Microsoft is also enhancing Windows Server as an application platform, saying that one goal is to reduce container image size to optimize download and development time and performance. It says it's shooting to cut the Server Core base container image to a third of its current 5G size. The company notes that Kubernetes support is now in beta and that Windows Server 19 will enhance compute, storage and networking of Kubernetes clusters. The company has already offered the ability to run Linux containers side by side with Windows containers on a Windows server, and now with Windows Server 19 will let Linux developers bring scripts to Windows using standard tools like Open SSH, Curl and Tar. On the security side, it's broadening support for Linux: Windows Server Shielded VMs prevent tampering with virtual machines by anyone except for administrators, and Windows Server 19 will extend Shielded Windows to include Linux VMs.